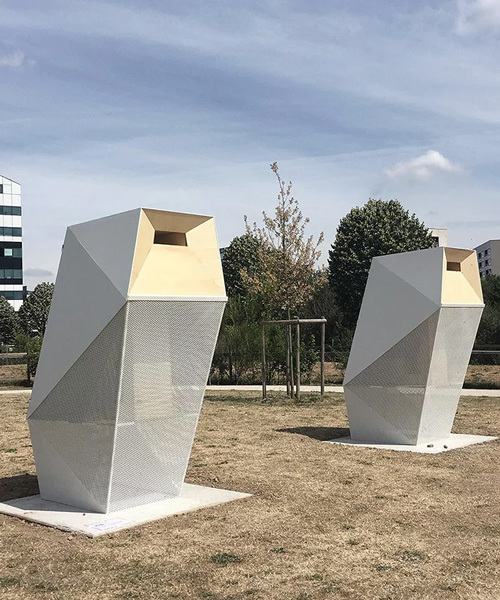 architecture firm bplusb architectures in collaboration with graphic designers studio corpus, and landscape architect slap, has designed two beehives for the parc des dondaines in euralille, an urban district in the center of lille, france. 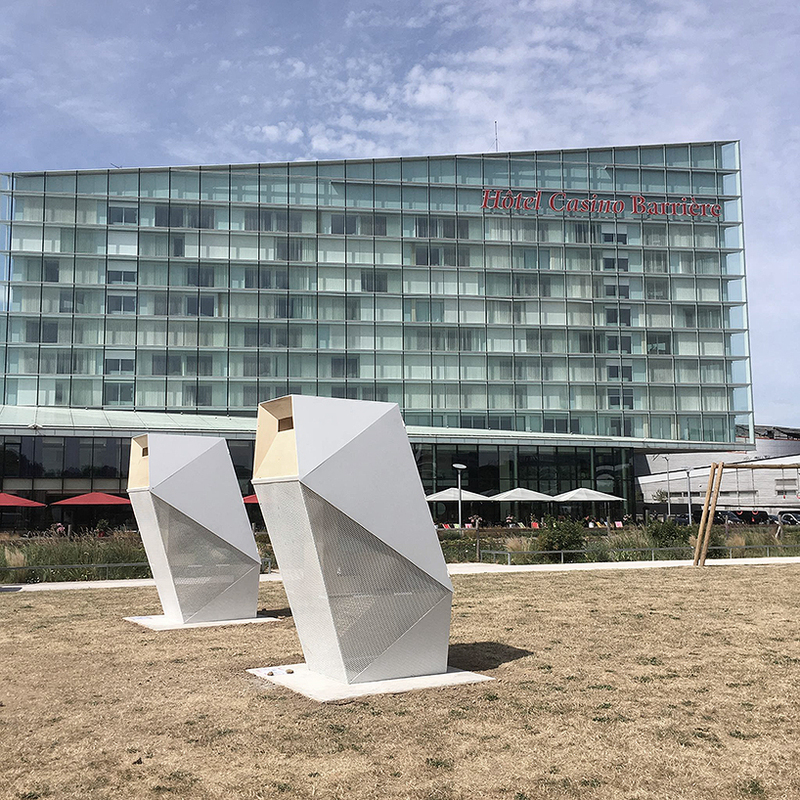 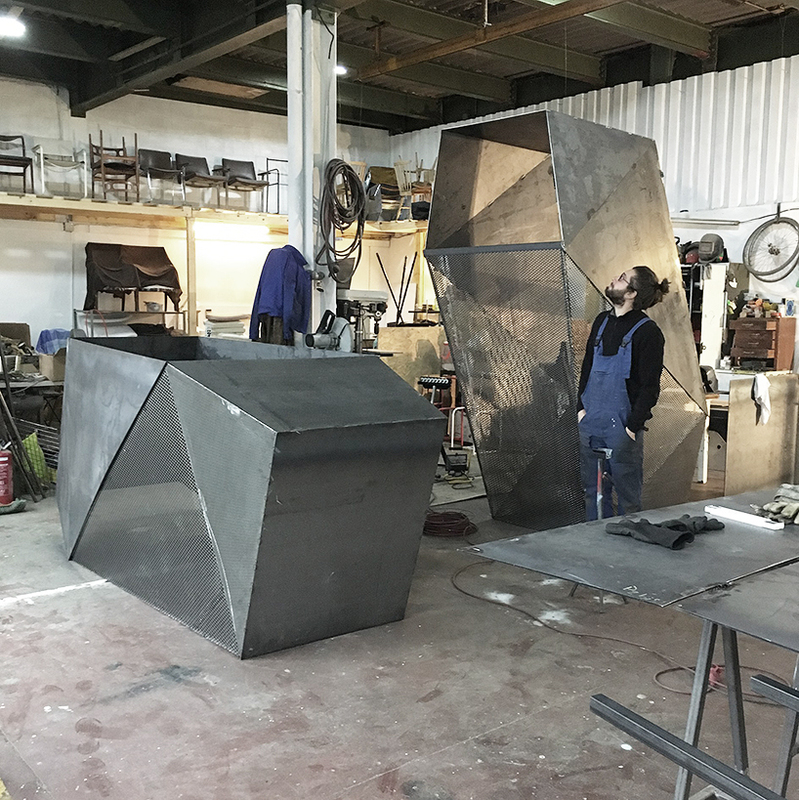 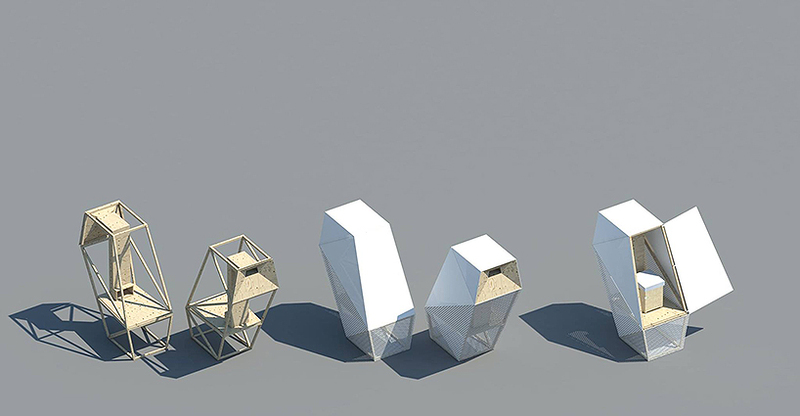 the two structures are designed as big owls, totem animals that protect the hives within their white-steel, geometric bodies. 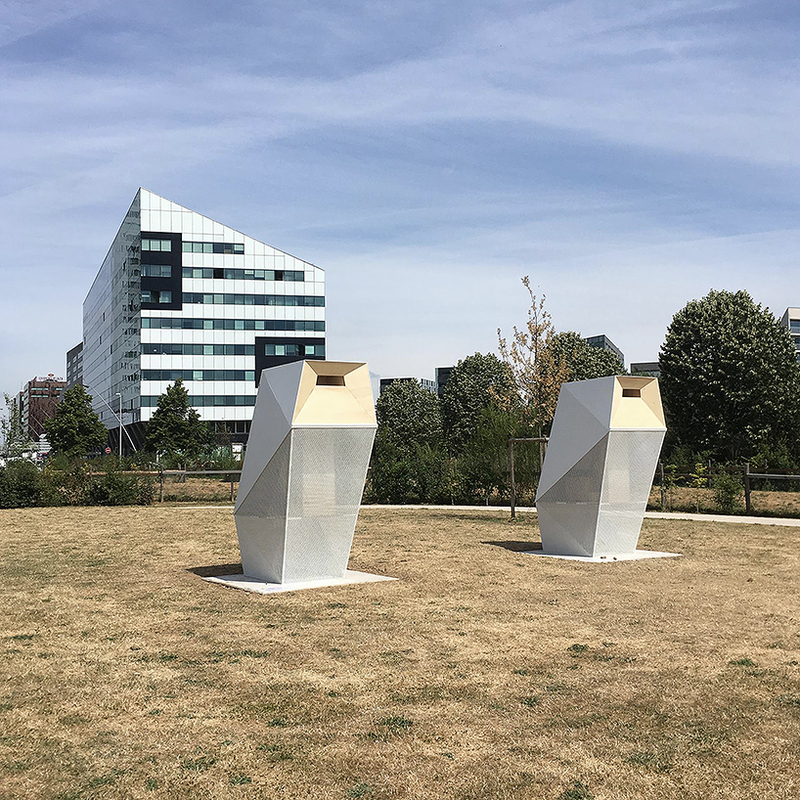 the selected project from a call for applications by WAAO ( the house of the city and architecture in lille), the beehives benefit from the less-infected-by-pesticides urban site, which also offers slightly warmer air temperature than the countryside, and a very large variety of flowers. 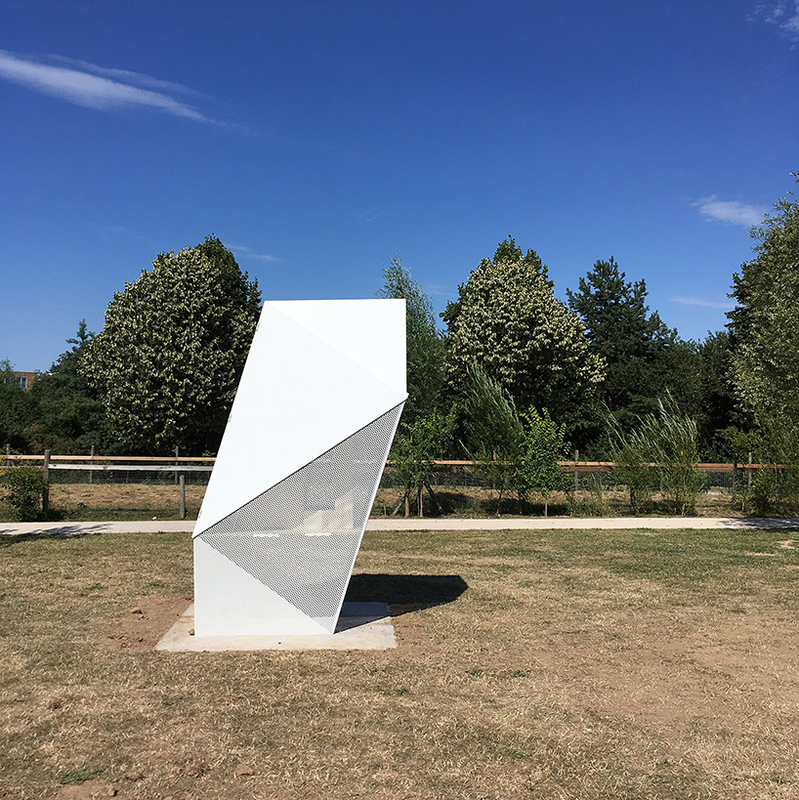 ‘on this large esplanade we want to create a space dedicated to bees, a place of contemplation, breathing for man and habitation for bees,’ notes bplusb architectures, who worked on the project together with studio corpus, responsible for the communication design, and landscape architect slap, responsible for integrating and taking into account environmental aspects. 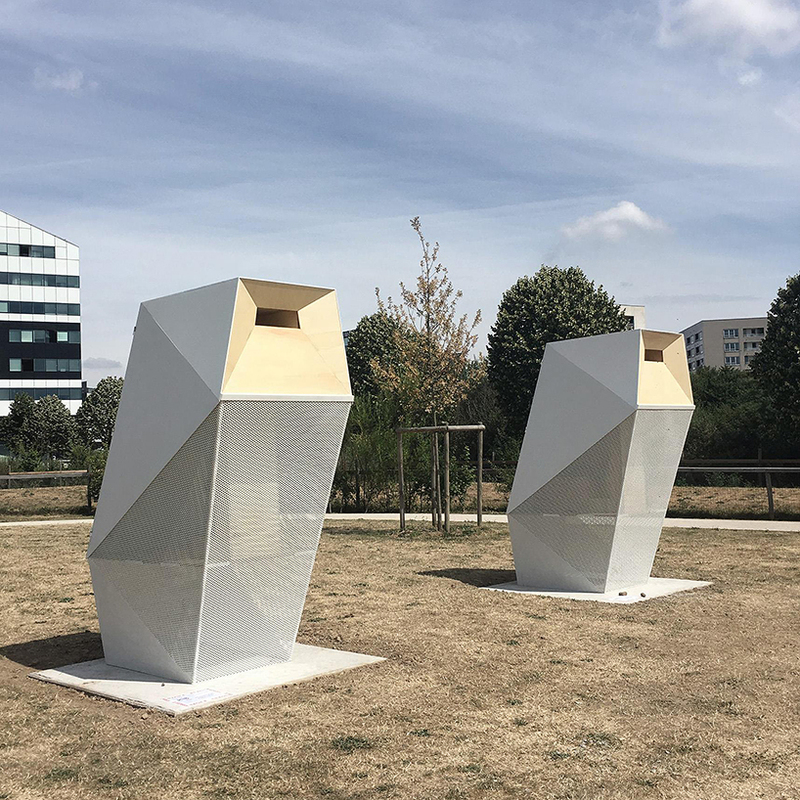 manufactured by charles loridan’s studio 1126BIS, the two micro-perforated structures contain a hive and wooden flight tunnel. 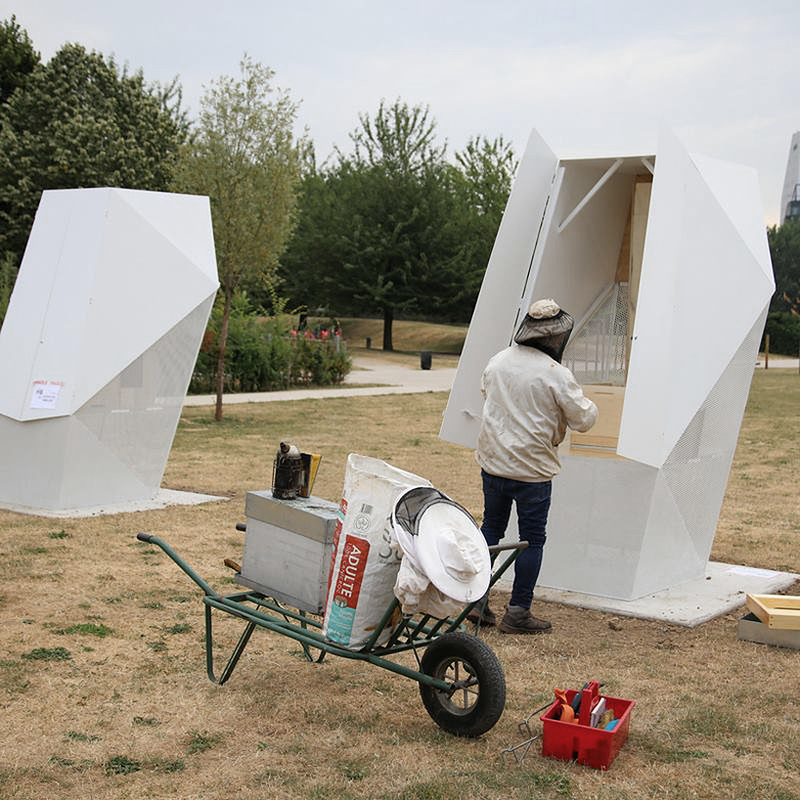 their bodywork allows the hive to be protected from summer overheating and to be ventilated. 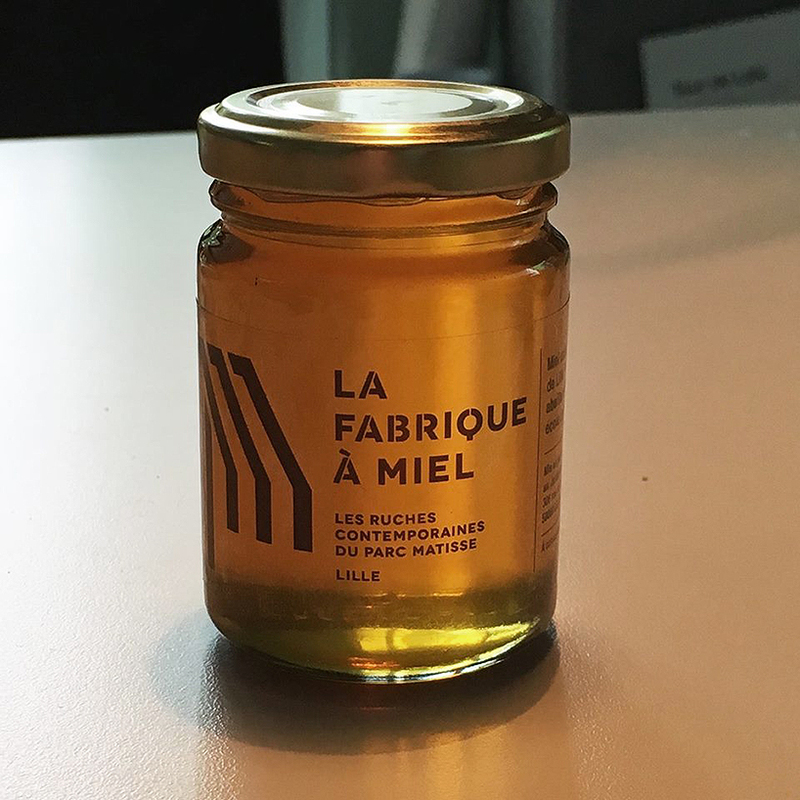 the very rich honey harvested from the two hives is sold at the house of the city and architecture.